Getting back to nature doesn’t have to mean roughing it, not with Australia’s Best Nature Escapes – collection of 100 of Australia’s best nature-based holidays. There’s something for every kind of nature-lover in this beautiful book, from camping in beachside reserves and on remote outback cattle stations to glamping in vineyards, splurging out at six-star luxury lodges, getting cosy in rustic cabins in national parks and unforgettable wildlife encounters that include swimming with sea lions and whale sharks, walking with wombats, camping with koalas and picnicking with platypus. 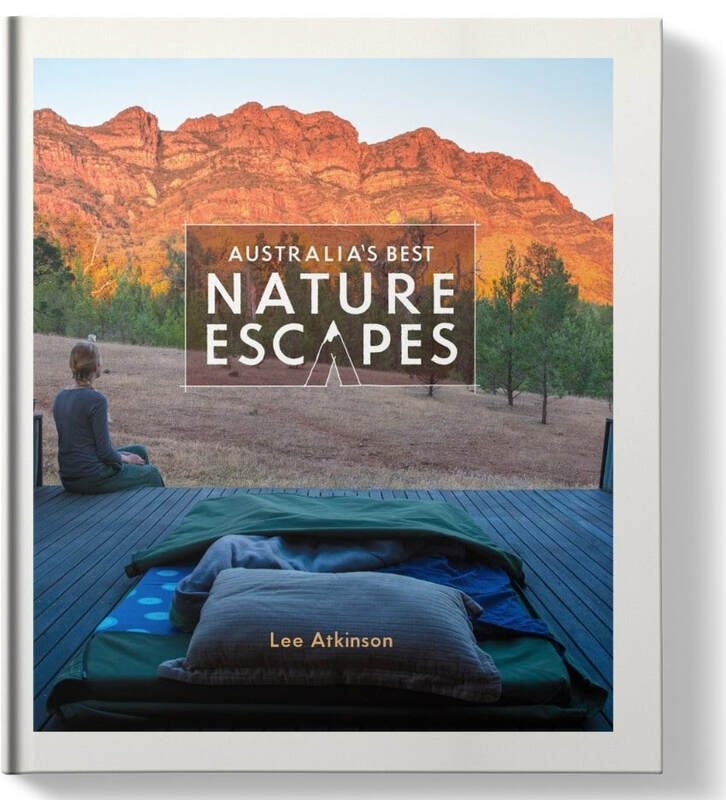 Lee’s collection of Australia’s best nature escapes includes family-friendly holiday parks, great value holiday homes, ecofriendly beachside resorts, rainforest retreats, hotels, island escapes, country hideaways, boathouses, houseboats and even treehouse or two. Australia’s Best Nature Escapes also covers range of activities such as guided walks, cruises, safaris, 4WD adventures and bareboat charters. You’ll find all the information you need – how to get there, how long to stay, the best time to go, price guide and handy travel hints, such as special kid-friendly features or alternative options in the area to suit your budget. However you like to go wild, you’ll find inspiration with Australia’s Best Nature Escapes.